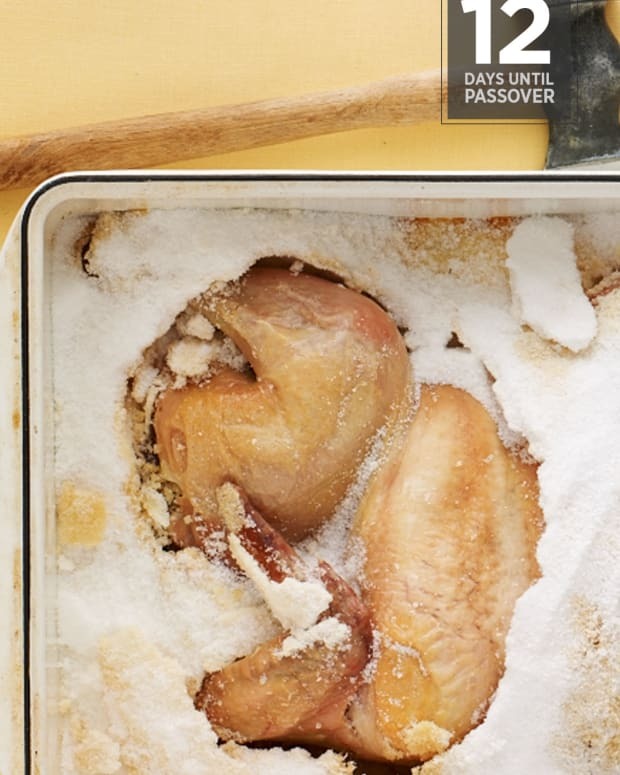 What advice can you give on how best to organize my Pesach cooking in an efficient way? It seems that no matter how much ingenuity we acquire as a home cook, Pesach always looms as a sort of scary beast. I heard a friend mention with a chuckle that when her husband proposed to her, she answered, “I’ll marry you for better and for worse, but not for Pesach.” In other words, she makes ... hotel reservations. No fool, her! All kidding aside, I grew up in a modest household, but I remember fabulous food at every meal at my home, especially on Pesach. So much so that I actually wait for that time of year to showcase my culinary stars. So, what’s wrong with me? Waiting for Pesach to be over, we are all familiar with, but actually waiting for it to come around? 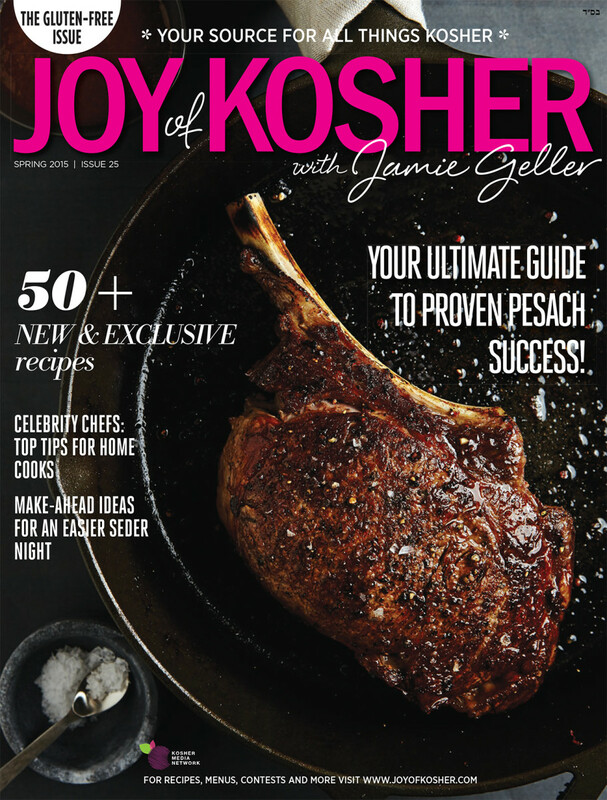 Sure enough, the predictable concerns are: I have to cook with my hands tied behind my back; cooking for Pesach is triple the price; celebrating our freedom is such slavery; I don’t have my regular amenities at my disposal; I need a week’s vacation to recover; and on and on... And who could blame us? 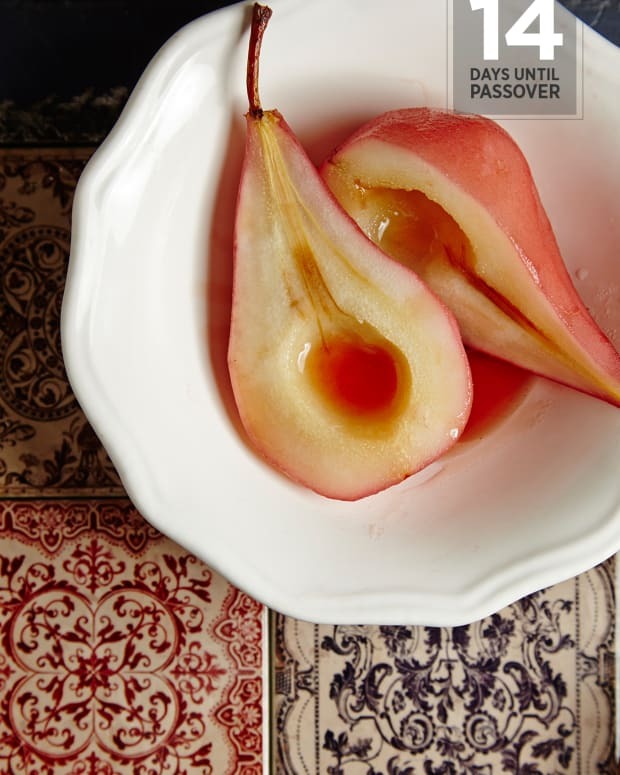 But I have long since recovered from the dread of Pesach, and I am thinking, with great glee: This week is my gastronomic week; on Pesach I can go for broke (a life-long habit I am not even trying to shake; why should I? I credit it in great part for making me the cook and hostess that I am; I am stuck with only the best and most seasonal; here is my chance to streamline recipes and ingredient selections; staying away from bread and rice and ice cream and pizza and other delicious nemeses is a given, because it is halachically verboten. And on and on. 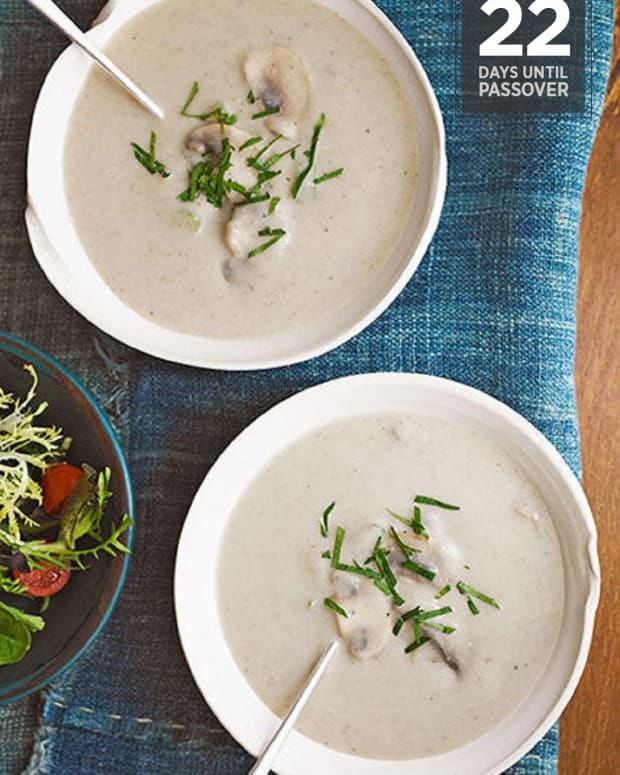 On Pesach we naturally turn to all fresh seasonal produce and fresh herbs. Many desserts barely suffer, if at all, from being made without flour. In short, I am stuck with only the best. Now that quinoa has been approved for Pesach, I make tabouleh and pilaf with it, which liberates me from the compulsory potato dish at every meal. Lest you think I am a superwoman, let me assure you I don’t step into my Pesach kitchen alone. I hire two helpers, a bargain at any price, especially when you think of the enormous expense Pesach never fails to be. I have had the same helpers for years, so let me tell you, they know the drill. They prep and clean up a storm, and I cook up a storm, in prevision of a house packed at every single meal. 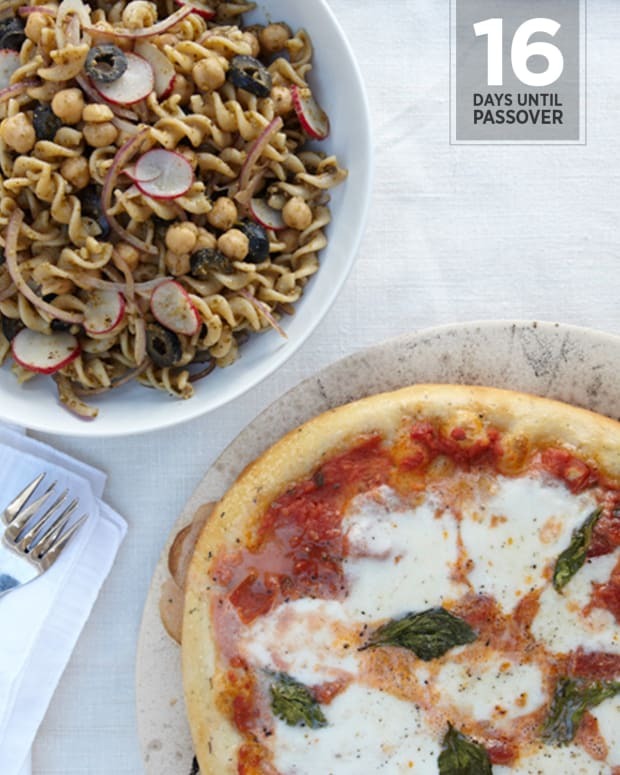 The idea for me is to get most of the week’s cooking done in the two days that precede the seder night. 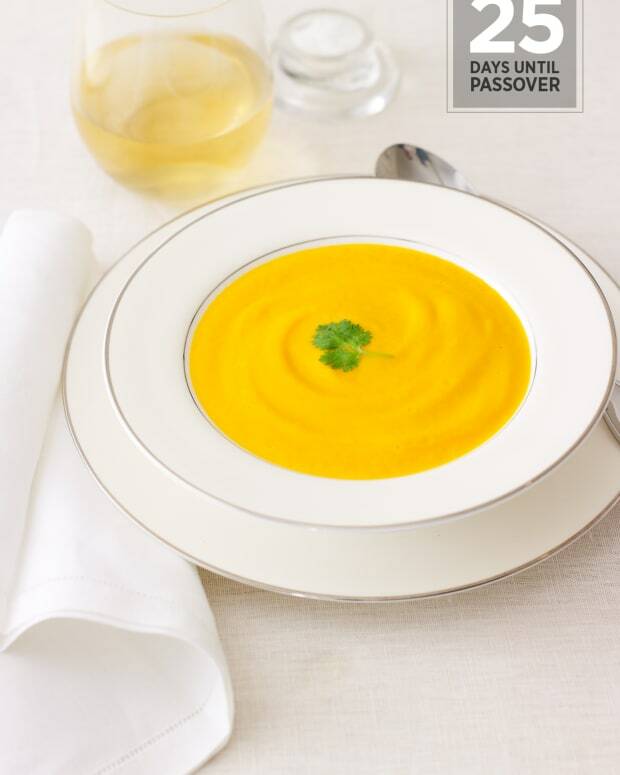 We start by making two or three large (different of course) batches of soup, and divide, label, and freeze them, so that rather than serve the same soup at several meals in a row, I serve a different soup at each seder meal, and then take out the rest of the batch for the last days. Same goes for condiments, salad dressings, vegetables, and side dishes. We also make brisket, capon, roast, terrines, tajines, and so on, and freeze what we will serve the last days. Best of all, we make all desserts: fruit compote and fruit molds, brownies, nut cake, nut truffles, meringues, etc. Needless to say, only impeccable sealing and labeling, or else why work so hard? The only things I don’t make in advance, and make right on the spot, are quick-cooking dishes like sliced steak, burgers, baked salmon, salad greens and so on. And on Chol Hamoed days we serve big, large breakfasts (yogurts, omelets, cheeses, smoked fish, salads etc.) 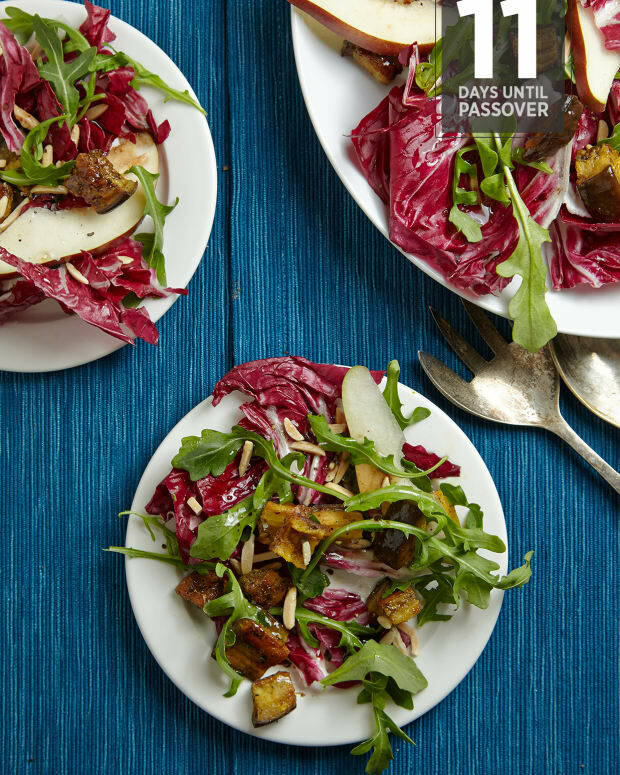 and send everyone on their merry way; kitchen is all but closed until dinner time, when we regroup, and serve all Pesach foods, but often meatless, with the additionof a nice large roasted fish, roasted vegetables, salad greens, and so on. This arrangement is what affords me a fun Pesach week with my family. I even go gallivanting with them during Chol Hamoed! Thinking of those hotel reservations... Thirty-eight years and counting, G-d bless. That might become a more regular event after my semi-retirement! 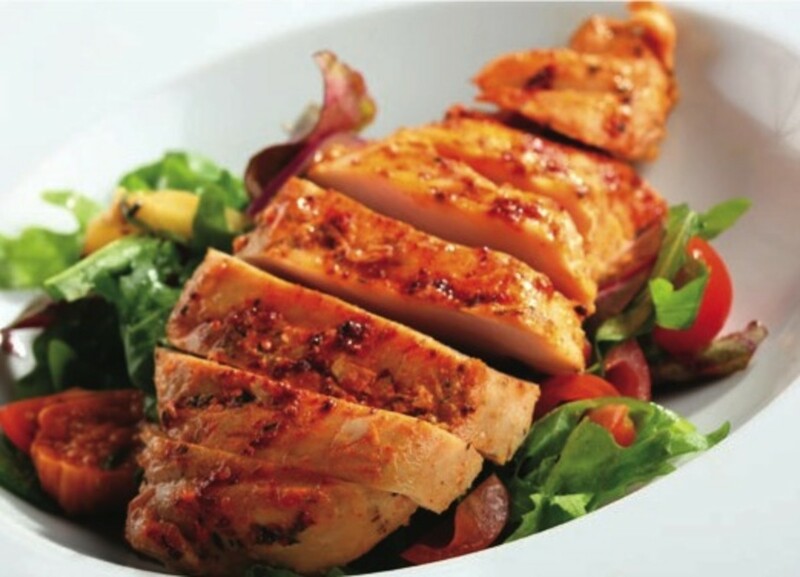 You will never say your chicken breasts come out dry ever again. 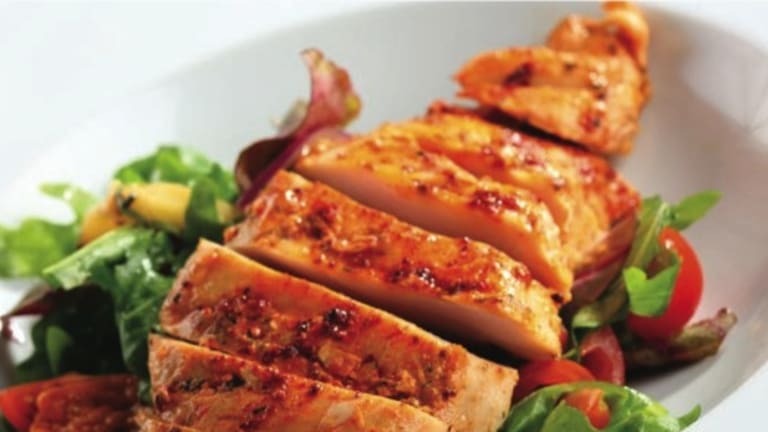 The marinating step is important here, so please do not skip it, the reward is a fabulous dish.